This book explains why we should stop thinking of freedom as limited to a right to be left alone. It explores how Kantian philosophy and Jewish thought instead give rise to a concept of positive freedom. At heart, freedom is inextricably linked to the obligation to respect the autonomy and dignity of others. Freedom thus requires relationships with others, and provides an important source of meaning in liberal democratic societies. While individualism is said to foster detachment, positive freedom fosters relations. Moving from moral theory to law, duties are seen as intrinsic to rights. The book considers test cases involving the law of expression, regarding authorial rights and women's prayer at Jerusalem's holy site of the Western Wall. Affirmative duties of respect are essential. Rights held by copyright owners require that all authors – including so-called users – are shown respect. Moreover, rights held by the authorities at the Western Wall require that all worshippers – including those whose interpretation of Jewish law differs from that adopted by the authorities – are respected. 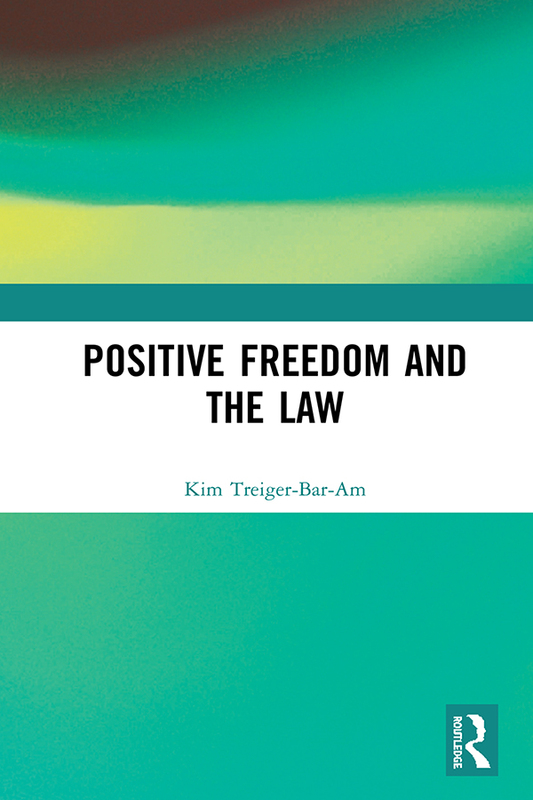 Dr. Kim Treiger-Bar-Am is a legal academic in Israel. Her education began at Yale University in philosophy and then law, with masters and doctoral studies in law at the University of Oxford. Her main research and teaching interests extend to free-speech theory and doctrine, and the juncture between speech rights and rights of authors and artists under copyright. Treiger-Bar-Am has published widely and lectured in the United States, Israel, Denmark and England.